Home / News / Why does my dog suddenly start zooming around? Why does my dog suddenly start zooming around? Don’t panic, it’s perfectly normal dog behaviour. 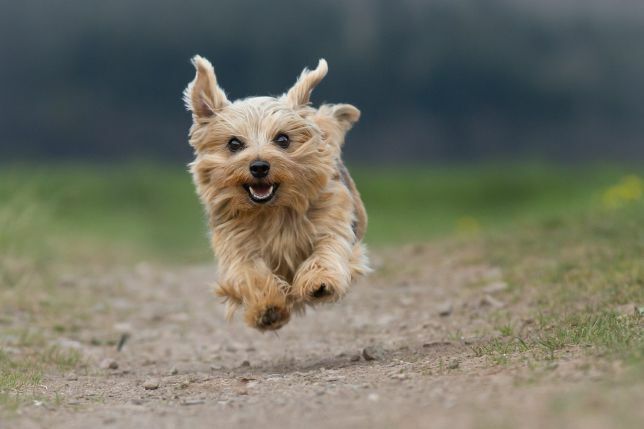 If you’ve ever noticed your dog start running joyously for no discernible reason at all, with what looks like smile on their furry face, then they’re having a case of ‘the zoomies’. The technical name for this sudden burst of energy is FRAP or Frenetic Random Activity Periods. It’s most commonly seen in puppies and younger dogs, but elderly canines are perfectly capable to indulging in the zoomies if the mood takes them. 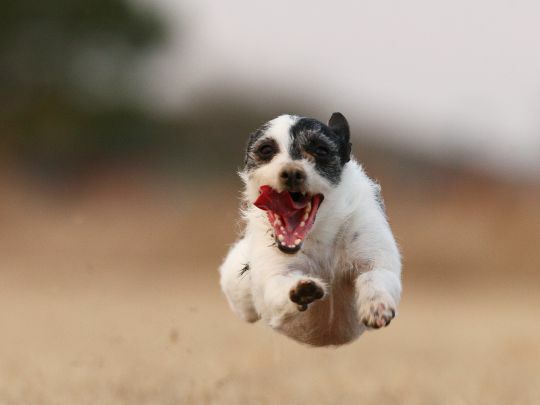 We don’t know exactly why dogs get the zoomies, but they’re usually an indication that your pup is happy and full of beans. They just want to run and jump because life is good. The zoomies often occur right after bath time, which is an indication that either they’re stoked to be nice and clean, or they’re relieved that the soapy ordeal is over. However, dogs can FRAP in moments of extreme stress and this is believed to be because they’re trying to relieve the anxiety by burning off nervous energry. If you’re dog is ready to zoom, make sure they can do it safely. Zooming is fine in an enclosed back garden, but if you’re in public you’ll need to keep your dog on a lead. You should avoid letting your pupper zoom into the road, and there’s also the chance that they could knock into a pedestrian or come into contact with a less friendly dog if they’re allowed to zoom without proper supervision. If your dog does get away from you when they’re got the zoomies, the temptation will be to chase after them. Although it may seem counterintuitive, run in the opposite direction of where your dog is headed, while loudly (but not angrily) calling for them to follow you. Having a bag of treats in hand will provide an added incentive for your pup to change course. At home, zooming on laminate or smooth tiles can mean your dog goes sliding around. To stop them crashing into children or elderly family members, make sure you direct your pup to a carpeted area. There’s no guarantee that ornaments and small bits of furniture won’t get knocked over during an episode of the zoomies, so if you have a garden, it’s a good idea to just open the backdoor when you see that frenetic energy manifest itself. The zoomies only last for a couple of minutes, or until your dog has tired themselves out, so as long as they’re sprinting in a safe, enclosed area, there’s nothing to worry about. Zoom on, little pups.